Intravenous fluids should be regarded with the same consideration as other pharmacologically active agents. Perioperative fluid management is an important component of the treatment to restore and/or maintain adequate cerebral blood flow and cerebral perfusion pressure. The distribution of these infused synthetic fluids in our patients depends on their volume and composition and also the patient’s underlying physiology. Unnecessary volumes, or infusion of hypotonic fluids, results in cerebral edema, influencing the strong ion difference that may in turn affect the acid-base balance. Also, the electrolyte composition has far-reaching consequences, such as chloride rich solutions that contribute toward hyperchloremic acidosis and impaired renal blood flow. Synthetic colloid solutions and mannitol are not without their own limitations, for example, they may also contribute toward acute kidney injury. 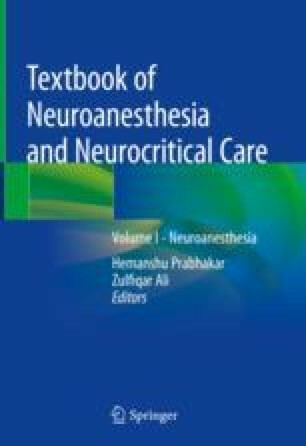 This chapter discusses treatment choices with different fluid types in specific neurosurgical situations. Perioperative fluid management in these settings should be tailored to suit a patient’s clinical condition and underlying pathophysiology. In general, hypotonic fluids should be avoided, with isotonic fluids being preferred. Personalized fluid management strategies should be guided by dynamic variables that assess fluid responsiveness. Wojciech Dabrowski, Manu Malbrain, and Robert Wise declare that they have no competing interests.